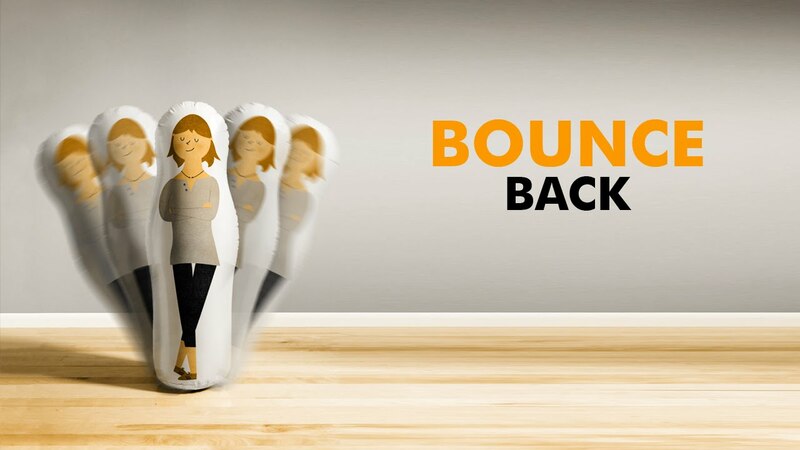 What are some other things that can add to our ability to bounce back? 1. Go into difficult situations as prepared as possible. Think about what can go wrong and try to have a plan for how to deal with it. 3. See some of the positive aspects of stress instead of the things that are hard about it. It can be energizing, it can prepare you for action, it can help you reach out to others. 4. Have a growth mindset (https://www.mindsetworks.com/about/carol.aspx). Believe that you can learn by putting in the effort and that you do not have to have the same weaknesses that you have today, that you can change and grow. 5. Make a list of your strengths and review it to remind yourself when things are difficult. 6. When you find your self-talk becoming negative, make a concerted effort to follow each negative thought with a positive one. Really work on trying to find the other side of the coin, or to see the glass as half full. Being able to bounce back is not an end game. It is an ongoing effort to deal better with the everyday stresses of life so we can all try to make a personal plan to work on it, a little bit every day. Soon, it will become our norm to try to see things differently, to have more positive self talk, to approach situations with a Plan B. An easy way to make a personal plan is to go back through the five Cs and pick just one thing from each that we can improve. When that one is done, we can pick another and another.